Both monthly and yearly pre-pay options are available. The price shown on this page is the monthly price. Once you select ‘Get it Now’, you can select from the monthly or yearly pre-pay plan. It's a membership that gives you access to all of Adobe's photography, design, video, and web apps on all your desktop and mobile devices. If you're a student or a teacher, you're eligible for big savings. Adobe® Creative Cloud™ Student and Teacher Edition membership provides access to all Adobe creative tools for download and installation on your local computer, as well as additional apps and online services. 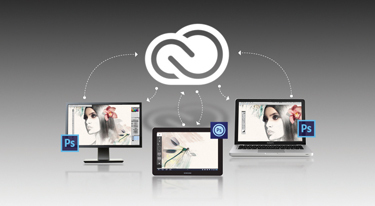 * A Creative Cloud Student and Teacher Edition membership is compatible with both Mac OS and Windows® platforms. Go to www.adobe.com/go/cc_techspecs for more information.